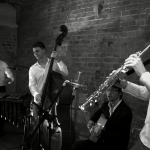 Chat Noir is an acoustic quartet formed by four young talents of the Berlin music scene. 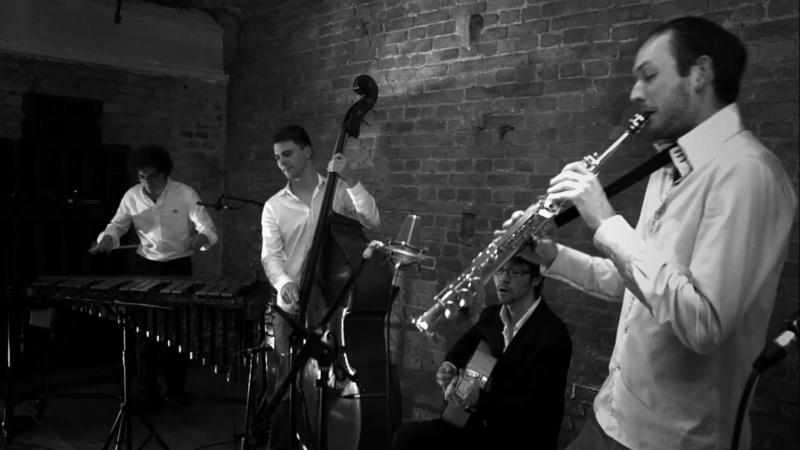 The originality of the band not only depends on the choice of instruments (soprano saxophone, acoustic guitar, bass and vibraphone), but also from his versatile repertoire that evokes the style of the legendary guitarist Django Reinhardt: swinging songs of the ’20s and’ 30s, popular gipsy-bossa, zingane songs and traditional songs from the Italian and French tradition are rearranged in the swing style. Through its original arrangements, fiery improvisations and much virtuosity Chat Noir always manages to delight and amaze the audience on any occasion!